The Il Monte Caro winery encompasses land that rises from 150 to 300 meters above sea level on the eastern slope of the Monte Caro. We always experience an exceptionally dry and breezy microclimate due to the continuous air coming from the north, along with warmer soil temperatures owing to the mount’s volcanic origins. Our 7 hectares property is composed of defined areas with different soil type, which vary from clay-rich with a substrate of basaltic rock to highly calcareous and stony. The grape varieties that we grow are those that are typical of our Valpolicella region; Corvina, Corvinone, and Rondinella; furthermore we have few grape vines of Cabernet Sauvignon. We grow all varieties in each area of the hill to enhance the features of all soil types. The majority of our vines are trained according to the Pergoletta Veronese and Trentina methods, whereas the Guyot system is used on the terraces located on the steepest slope of our vineyard. 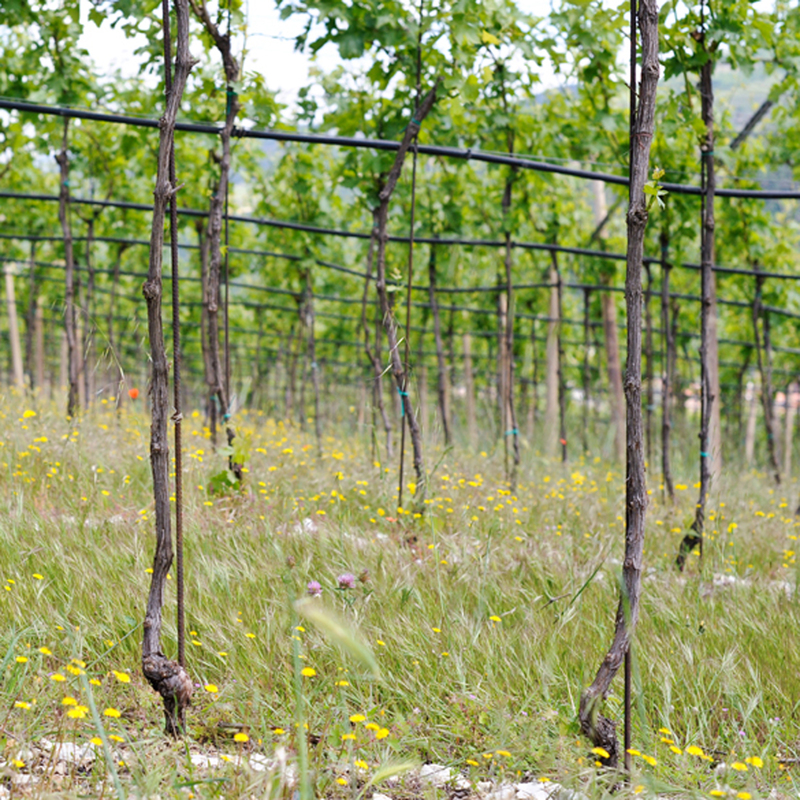 The vineyard’s care and supervision is entirely in the hands of our family and is done according to natural beliefs. Everything from pruning to the thinning of shoots, leaves, and grapes is done by us manually, helping to control the microclimate that embraces our vineyard. Only the best bunches are selected during harvest, an activity in which the whole family, along with trusted friends and workers, takes part.